SO Madrid’s pride was shattered and Mariano Rajoy, Ana Botella and Prince Felipe humiliated by the IOC members. Was it worth it? What was the purpose of Madrid’s third attempt to host the Olympic games when Spain had recently (in Olympic terms) hosted them – Barcelona in 1992 – and it was highly doubtful that a EuropeanCity would be chosen in 2020 after London in 2012? Madrid’s officials must have known it was Asia’s turn. European IOC members, who supposedly pledged support for Madrid, reneged on any promises simply because choosing Madrid in 2020 would have ruined any chance of another European venue in 2024. Political reasons and local interests prevail. 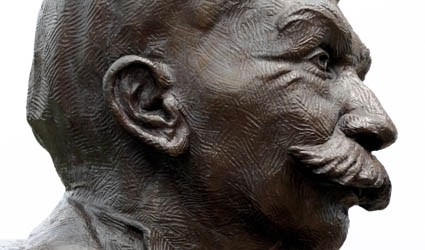 When Pierre de Coubertin created the modern games it was to fulfill his dream to bring athletes and sportsmen and women together from all over the world. Only what started as a ritual of goodwill and fair play has been gradually transformed into a global corporate and media circus requiring a massive financial investment. So why do so many cities compete to organise a three week long sporting event which requires years of preparation, causes upheaval and turmoil for the inhabitants, requires enormous and costly building and security measures, and once over is all but forgotten? The answer lies in the way the IOC operates and the power it wields. But has its influence gone too far for the world to allow a handful of secretive individuals holed up in Switzerland determine where and who should organise a multi million pound global business? Does anyone ask themselves what is the role of the members apart from a talent to act like prima donnas and jet around the world in lavish style? Their power is so far reaching it induces politicians to beg for their cities and then open their books to show they have sufficient resources to build and provide the required facilities. Their methods fuel accusations of corruption. Remember 2002 and the Salt Lake City bribery allegations and Tony Blair’s last minute lobbying for London? But do they really need to assess the merits of the world’s leading cities and subject elected political leaders to grovel before them when any reasonably intelligent person would acknowledge that all international cities possess the expertise to develop and host a major sporting event? It is more than likely that the choice of venue is made long before the delegations of world leaders, city officials and even royalty, setting aside any economic problems they face at home, travel half way around the world to seek an audience with the IOC. They line up, like contestants in a beauty parade, to wait in suspense while the committee members lock themselves up to announce the winner. The IOC is judge and jury. At least in beauty competitions or Eurovision, the winner tends to be chosen by the audience. Surely it is time to put an end to the IOC’s monopoly over the choice of venue and the charade of political and financial lobbying, and return to the ideal of using the Olympic Games to unite the people of the world. Many of the world’s best athletes now originate from the developing nations. It is time they had the opportunity to hold the games instead of the usual merry go round of wealthy cities. Rather than engage in the costly competition to organise the games, which only benefits the globetrotting committee members, the IOC and G20 nations should work together as a team with the aim of giving more nations the chance to host the games and spending the IOC’s cash more wisely. The sites for five or 10 games over the next 20 to 40 years should be determined in advance by mutual agreement. The venues should rotate between the continents in order for all the world’s nations to have a chance to act as host. Finance would come from a consortium of wealthy G20 nations which would spread the cost with private sponsors. This would enable poorer nations, currently excluded, to hold the games and reduce the risk of one city going bankrupt. If the decision to hold the games in an African or Asian country lacking the means was made a decade in advance, they would have time, with international cooperation and funding, to prepare the games. It would provide badly needed investment in infrastructure, housing, transport and sports facilities that would be put to good use after the games were over, provide local jobs and assist in the economic development of the countries concerned. Today, whether the games are held in Iceland or Mozambique actually makes little difference to the vast majority of spectators sitting in front of their televisions around the world. And ticket prices could be substantially reduced in the poorer nations as most of the revenue generated comes from television coverage and sponsors. To uphold the Olympic spirit the right path is to make the games the catalyst for aiding the developing nations in a coordinated effort to achieve democracy and prosperity. Instead of remaining an elite, privileged club, the IOC should be transparent, come down to earth and look to how it can benefit the world rather than its own members. It is time for a real change of climate. NUJ writer and author based in Spain.